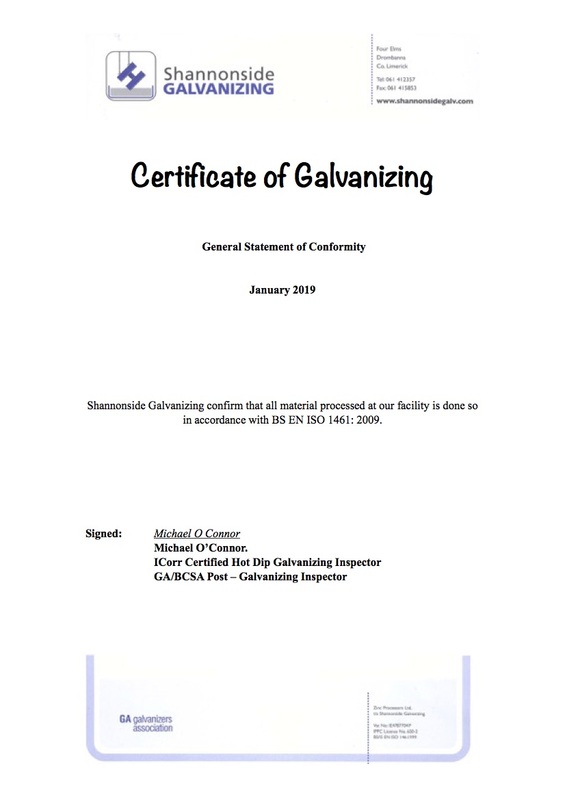 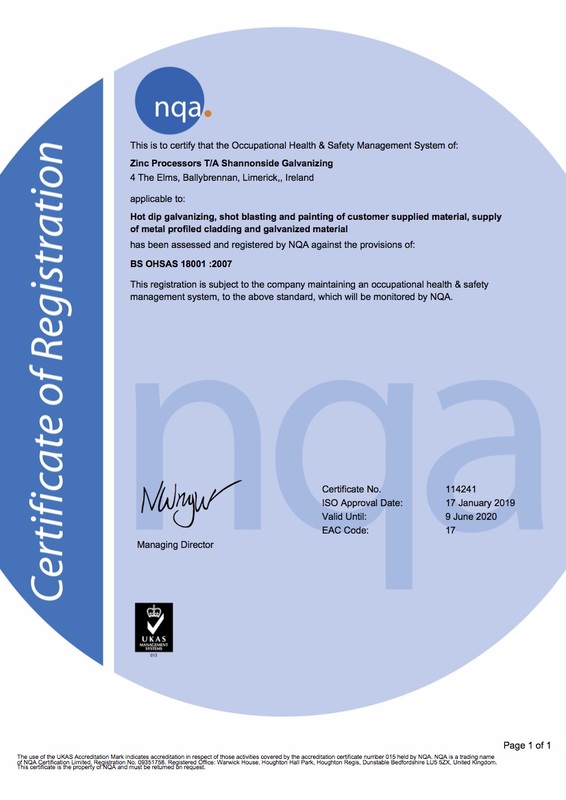 The only ICORR Certified Hot Dip Galvanizing Inspectors in Ireland, found at Shannonside Galvanizing. 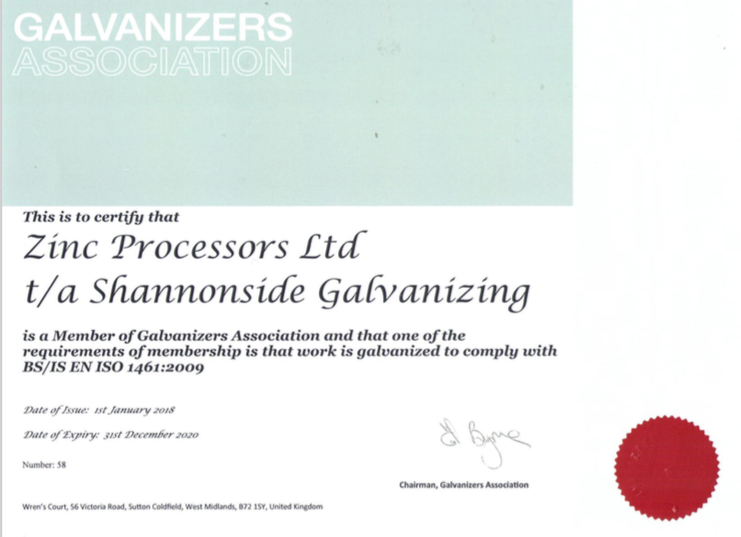 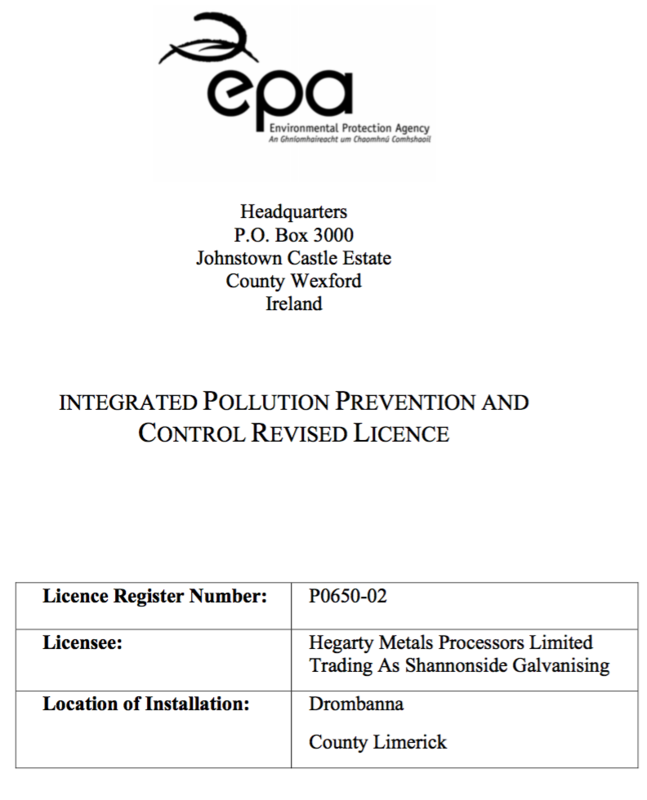 Shannonside Galvanizing’s plant is licensed by the Environmental Protection Agency under IPPC Licence P0650-02. 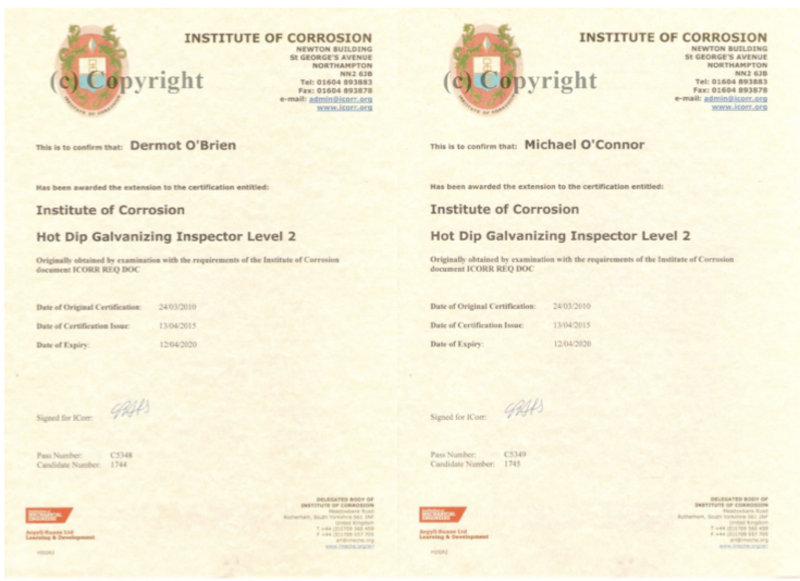 Please click on the following link to view our IPPC licence.